So, I've been hearing a lot about Mason Pearson brushes over the last couple of years. After an early 20s glut of purchasing beautifully packaged makeup I didn't need or use, these days I try not to buy new beauty products unless I've researched them thoroughly and have come to the conclusion that they will be frequently used, and make my morning routine a little more happy and luxurious. So far the list of items that fall under this category are Smith's rosebud salve, Nuxe body oil, Avene thermal water spray, a drugstore eyelash curler and Dior mini mascara. A NARS blush and MAC powder might enter the picture if I'm going out in the evening. Anyway, I kept seeing seemingly genuine, unsponsored praise of MP brushes in interviews with models, stylists and beauty bloggers, and any product that has remained popular and unchanged since the early 1900s is worthy of investigation. To cut a long story short, I decided to try out the "Handy" model with boar and nylon bristles, and ended up purchasing it from a beauty clearance site that ships within Canada (hooray!). Do you have an MP brush? What do you think? 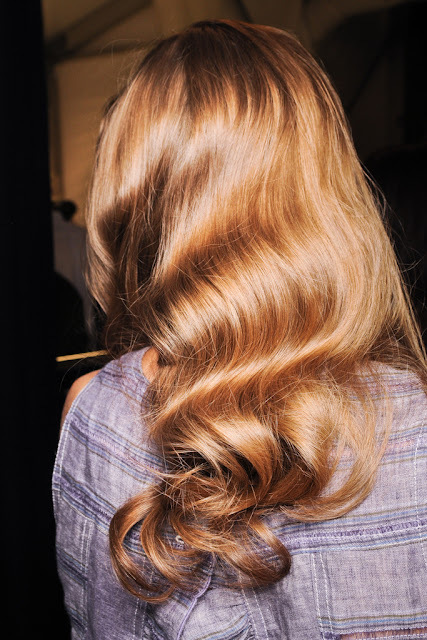 Posted by la femme at 7:36 p.m.
it seems to be gentler on tangled, curly hair. and it leaves her mane shiny and smooth. The only brush I own and use is a foldable Miffy brush (yes, that's indeed Miffy the rabbit), but I quite literally just read about the virtues of Mason Pearson brushes in a magazine!